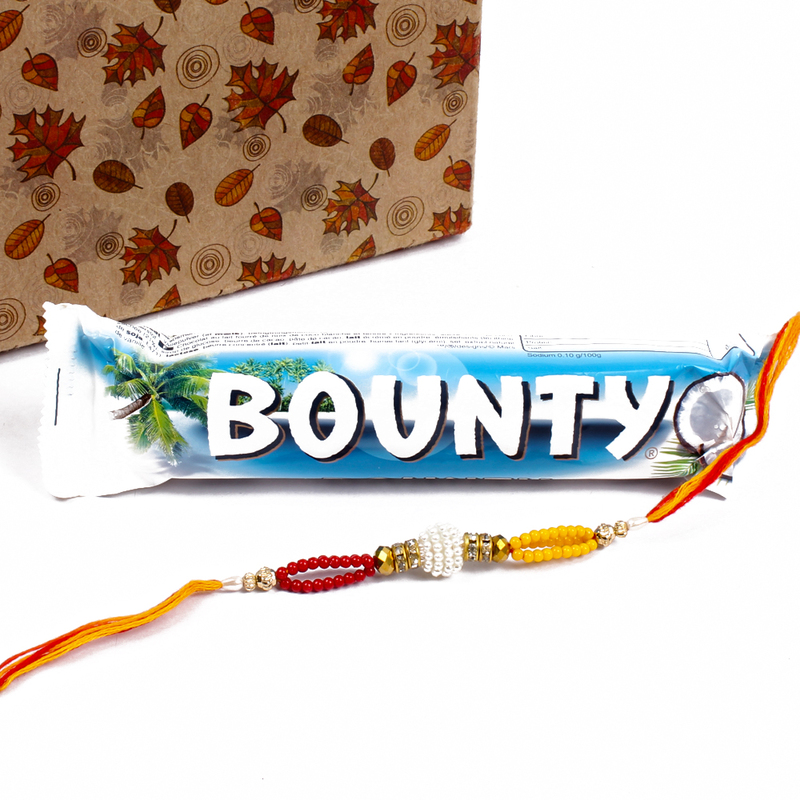 Bounty Chocolate Bar (Weight : 55 Gms) and Pearl Rhinestone Beads comes in middle between color beads strings of Rakhi along with Packet of Roli chawal. 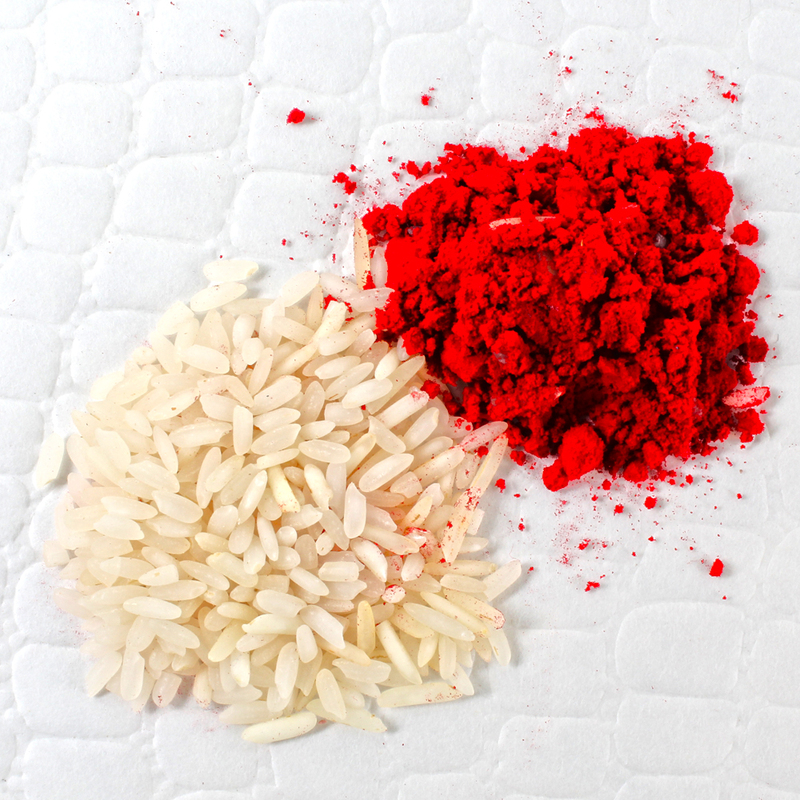 You are away from your brother on the auspicious occasion of Raksha Bandhan, do not worried. 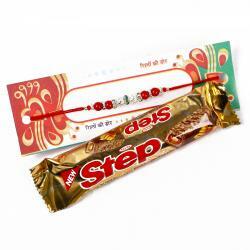 We offer you unique designer Rakhi to be send at your brother door steps. 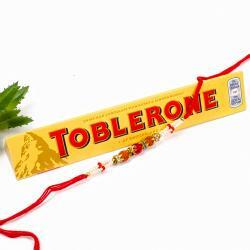 You should not miss out on this attractive and tempting Rakhi gift pack it is special that you need to surprise your darling brother on the festival of Raksha Bandhan. 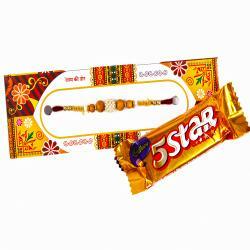 This beautiful Rakhi pack includes: Bounty Chocolate Bar (Weight : 55 Gms), Pearl Rhinestone Beads comes in middle between color beads strings of rakhi and Packet of Roli chawal.